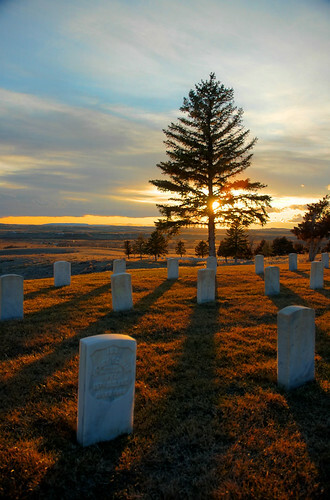 Custer National Cemetery, originally uploaded by Bob Reece. Bob Reece works at Little Bighorn National Battlefield National Monument. I met him at a conference this past winter--he spotted me taking pictures and, like any photographer, came over to see what equipment I was using. 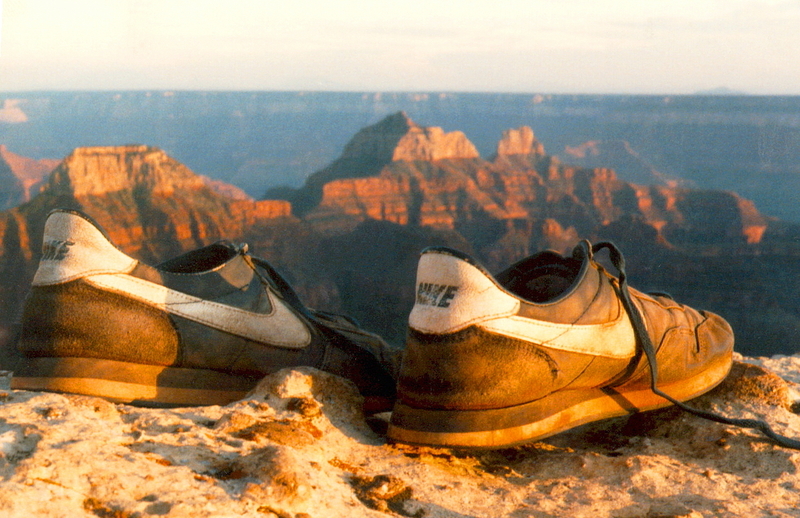 We swapped stories about favorite photos and shared websites. He wrote me later to enthuse about a picture I once took at Little Bighorn on a beautiful February evening; but I think his own photos are pretty nice too. I love the light in this one, and the way that it's positioned in such a way as to create converging lines of shadow. I also like the consistent color tone throughout the picture, with the yellows and oranges in the sky, sun, and grass.